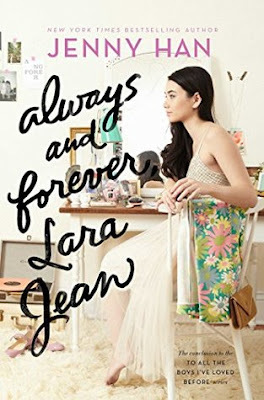 One of my most anticipated reads for 2017 was Always and Forever, Lara Jean by Jenny Han. I purchased the book as soon as it was released in May, but unfortunately had to keep pushing it back on my reading list. Then I discovered that my library finally had the audiobook for it, and I just HAD to listen to it right away. I'm so glad that I did! This book is definitely one of my favorite reads of the year. As I'm sure I've mentioned in my review for the previous books, but I must say it again... I absolutely adore the characters in this book. Actually, Lara Jean is one of my most favorite characters ever, and I've really loved reading her story over the past few years. She has a really awesome family as well, and I especially love the bond between her and her sisters. I should also add that she has a pretty sweet boyfriend as well. I love all of these characters so much! Overall; I've said it once, and I'll say it again... Always and Forever, Lara Jean was such a great read! It is definitely a favorite of 2017. 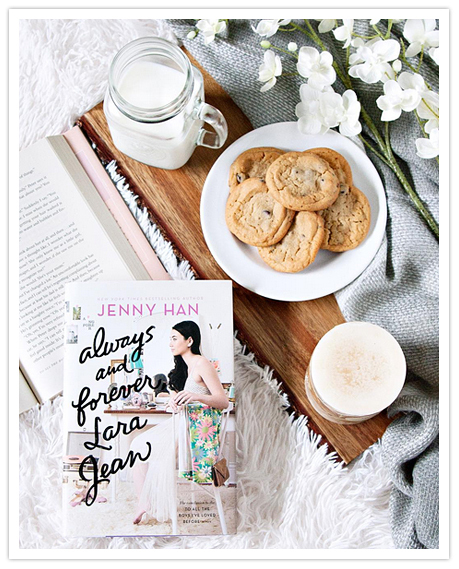 If you're a fan of sweet contemporary stories, I highly recommend you pick up this series and meet Lara Jean for yourself, and I hope you love it just as much as I do!